The news was described as “genuinely shocking” for workers. AS MANY AS 50 jobs will go from the Tullamore Dew facility in Clonmel as the Irish whiskey brand’s owners shift production to Offaly. All of the positions will be lost before September next year, with 40% of the total gone within the next two months. Tullamore Dew owner William Grant and Sons bought the brand, which was first produced in Tullamore in 1829, from Irish drinks maker C&C Group in 2010 as part of a £260 million deal. It follows the company opening a new distillery in the label’s original home last year, although the County Tipperary plant continued to be used for bottling. Independent Tipperary South TD Mattie McGrath said the news was “genuinely shocking” and workers had been given the advice without warning today. He said both he and the Tullamore Dew workers were under the impression William Grant and Sons had made a long-term commitment to the facility. Meanwhile, workers from the Bulmers brewery in Clonmel plan to strike in two weeks after claims the C&C Group, which owns the cider brand, had reneged on a 2009 redundancy deal. Unite regional officer Tony Kelly said one of the union’s members was being made redundant on terms worth about half of what had been agreed. Despite a clear agreement concluded in 2009 between Bulmers and the unions, the company has informed the workers represented by Unite that they are not covered by that agreement,” he said. Unite represents 24 managers who work for the company. McGrath said there was “anguish” among Bulmers and associated workers in Clonmel who had been told more redundancies were likely. Lack of clarity in this matter is creating real problems with morale among the workers who have already endured a five year pay freeze,” he said. The C&C Group has been contacted for comment but is yet to respond. Last financial year the company reported an operating profit of €115 million, down 9.2% after a bad 12 months for its cider brands. 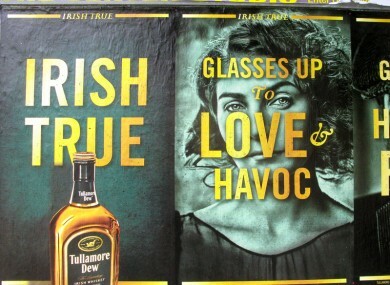 Email “Tullamore Dew and Bulmers are cutting jobs in Clonmel”. Feedback on “Tullamore Dew and Bulmers are cutting jobs in Clonmel”.